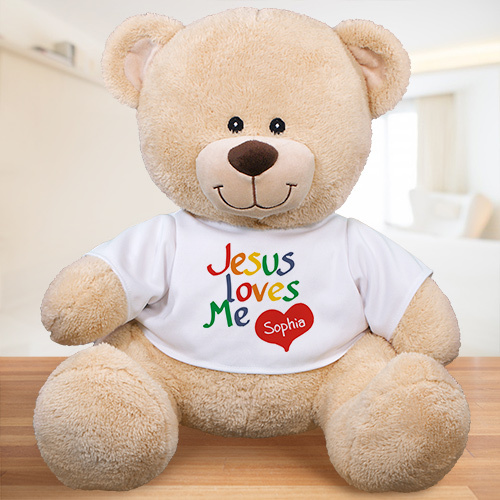 Personalized Jesus Loves Me Teddy Bear. Our Custom Printed Christian Teddy Bear is a wonderful Personalized Christian Gift for your little one. Celebrate the joy of Jesus Christ with a fun & cuddly personalized teddy bear. Great Christian gifts. Nice product but too costly.